ID Cards - De website van embacr-nl! Copy both sides of your ID Card. Two colour photographs (3.5 cm high by 3 cm wide) with light grey background. If your ID has been expired for more than ten years, you must come to the Consulate with two witnesses (family or friends). Each witness must bring their valid Costa Rican identity card (cédula) in good condition. 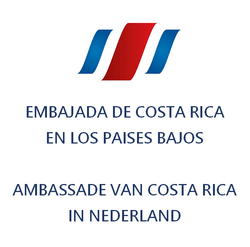 In case of loss or theft of your ID card, to request a new one you must provide a birth certificate issued by the Civil Register Office in San José (Registro Civil) and an official photo ID, preferably your Costa Rican passport. Two colour photographs (3.5 cm high by 3 cm wide) with grey color background. If you do not have a TIM, you must provide a birth certificate issued by the Registro Civil Office in San José (Registro Civil) and shall also come to the Costa Rican Consulate with witnesses; one witness if he/she is an immediate family member (only father, mother, brother, sister or grandparent), two witnesses otherwise. Each witness must bring their valid Costa Rican identity card (cédula) in good condition. If the direct family member is a foreigner, he/she must bring a valid passport (no foreign witnesses are allowed except for the aforementioned immediate family members). You may request your first ID card from the moment you turn sixteen, but it will be given to you until the age of eighteen.